As with everything in life, there comes a time when you must think about making some changes to your bathroom. It’s one of the most commonly used rooms in your home, after all. While an all-out makeover might be out of your budget, that doesn’t mean you can’t make some really amazing changes to your bathroom that won’t break your budget. One way is with bathroom wall panels. That simple update can really make your bathroom pop. But before you buy, here are 5 things you should know about wet wall panels. While ceramic tiles were the go-to choice in the past, bathroom wall panels are quickly becoming the better choice. Unfortunately, many people have been lead to believe that their current shower will make it difficult or impossible for installation. Here are a few other misconceptions we’re clearing up. We like providing our customers with the truth about our products. It makes for a happier customer and a positive experience for us both. Like the common belief that only certain types of showers can easily accommodate wall panels. So we’d like to clear up a few additional false facts for you. This rumour is only partially true. Yes, it’s probably a smarter idea to have your bathroom wall panels installed by a professional. If you’re planning on doing the installation yourself, in most cases you’ll need no special tools than you’d need for a basic woodworking project. The one-piece bath panels are not actually one piece. They also aren’t always the smartest choice in shower wall panels. It’s important to ensure your shower wall panels will fit properly into your shower according to your exact size. Sound waterproofing methods should also be performed for a tight fit and seal. Thickness doesn’t really matter in the end. What we’ve found is that the focus should be on how well the panels have adhered to the bathroom wall. It’s important to do some research before you start choosing which panels you want for your bathroom. You want them to function well and last a long time. But you also want them to look great in your shower. If you were going shopping for clothes and saw a mannequin in the window wearing ugly clothing, would you shop there? No. Stick to sites where you love the options they’re showing you. Better yet, do some research online to see how others panelled their bathrooms. How Does Your Company Sell Its Products? No matter how great the wall panels are, if they’re improperly installed, they’re a bad product. Will This Be Difficult to Install if I Choose to Do this Project Myself? Certain types of wall panels are DIY friendly. If you have the tools, time, and ability, go right ahead! Don’t forget to ask for videos and/or instruction sheets showing the installation process. Plus see our complete guide to bathroom wall panels here. There are definite ways to save on a bathroom wall panelling project, but it’s also never a good idea to budget yourself into a corner. There’s no point in doing an upgrade if the quality or fit of the panels are so poor that it looks worse than before you started. It’s also vitally important to match form with function. In other words, while it’s great that your wall panels are free from mould and mildew, but do they look great in your space? There are many things to consider before giving your bathroom a makeover. It’s important to make sure you stay within budget, the bathroom functions well for everyone’s needs, and of course, it has to look great. 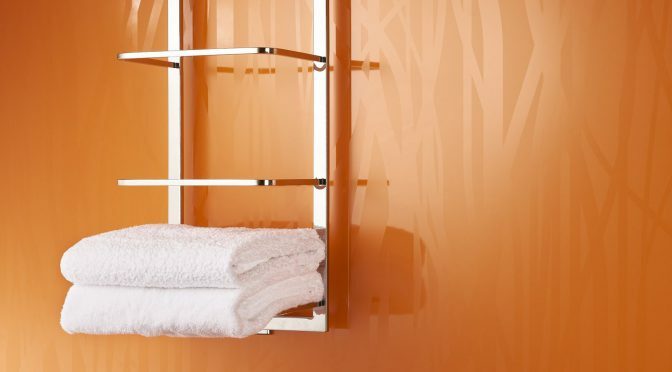 Our blog contains helpful tips to ensure the perfect bathroom makeover for any budget or style.